IBM Verse is all-new email system from IBM that works for you by prioritizing your conversations guided by smart algorithms while you focus on your core business. 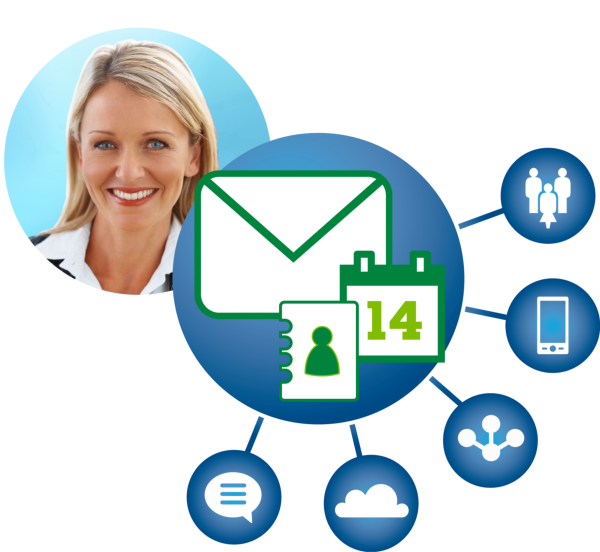 IBM Verse learns your behaviour and offers you better way to manage business communications across devices. It comes with an array of social and mobile capabilities delivered from the IBM cloud making possible to be mobile and secure at the same time. A new way of working with IBM Verse will simplify all of your email tasks. You can organize your business from an intuitive console and focus on top priorities set for you by IBM via smart analytics. All of the business tools are now integrated. You can now easily share a file or conversation with just two clicks, set the task deadlines and respond to critical actions when they are due. Prioritizing feature is in the core of IBM verse – you will always have your top 5 tasks on your sight. Unique calendar bar keeps you up to date with your day’s plans. Smart user interface design will put user experience on whole different level. IBM Verse comes with an integrated search engine which will help you find important conversations, documents and people in no time. Switching between devices has never been easier – you can work seamlessly across all of your devices retaining full functionality of the products. Cloud will take care of heavy lifting so you don’t have to. Contact us to find out more and get help from Miadria team to make the next step to the new productivity with IBM Verse. Prioritize. Feel empowered, engaged and fresh. Focus on what’s important. Do the high level tasks while IBM Verse does everyday’s job for you.